Ruben is a future Habitat homeowner. Since April, he has been working to fulfill his family’s sweat equity hours at the Building on Faith home in Tillicum. Ruben was there as the first walls were raised in mid June, again as framing got underway in July, and as siding went up in August. However, what Ruben didn’t know until earlier this month was that the home he was helping to build would be his home. “I was happy,” Ruben says about learning this good news. As happy as Ruben is, even happier is his daughter, Vanessa. 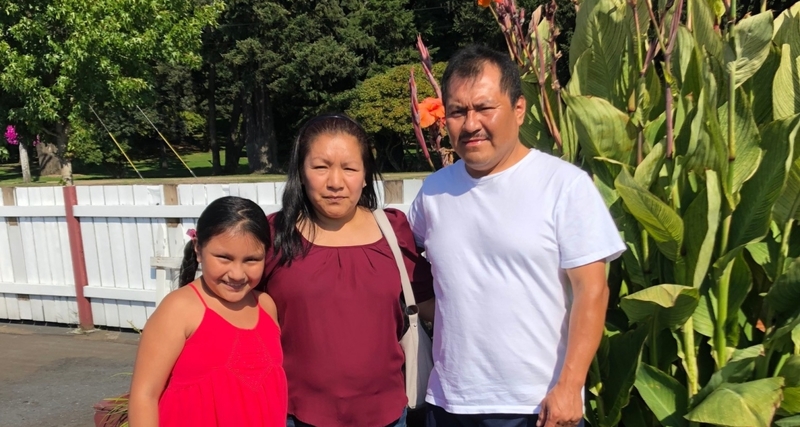 The only member of the family who fluently speaks English, Vanessa (age 8) shares that her parents had taken her and her brother Oscar (16) to see their new home. “I love how it has two roofs!” she says. Vanessa is also looking forward to having her own room, as she currently shares a bedroom with her parents. Vanessa’s most pressing question came toward the end of the interview. “Will the house have a fence?” she asks. Oscar has Down Syndrome and functions at a much younger age than his 16 years. The family is concerned that the house is too close to several streets, creating a dangerous situation for him. Unfortunately, while Habitat for Humanity provides a few things beyond just the house – including basic landscaping and a driveway – a fence is not in the plan. Habitat is reaching out to the community to fund this additional need for Ruben’s family. The estimated cost for the fence that’s specified, including installation, is $6,500. Vanessa says her parents told her that the Building on Faith house won’t have a fence, they wouldn’t be able to move there. Thanks to a generous response by our community, Ruben’s fence has been fully funded and installed. Thanks to all those that contributed, including our incredible partners at Quality Fence Builders and Fence Specialists! 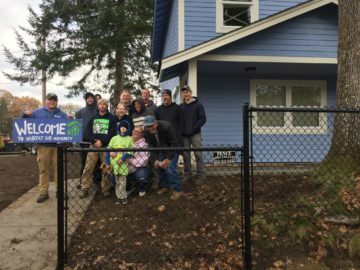 Tacoma/Pierce County Habitat for Humanity builds one home per year in partnership with the local faith community. This year, the Building on Faith home is sponsored byThrivent Builds. As of this month, over 20 local churches and individual Thrivent members have contributed more than 800 hours toward its construction.